​All he needed was to get that ​first ​hit out of the way before he went off. 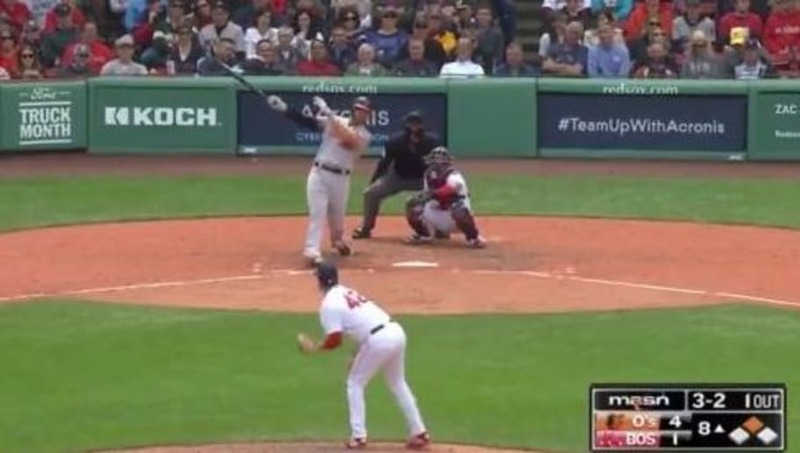 ​Baltimore Orioles slugger Chris Davis had a miserable start to the season, but he's found his mojo against the Boston Red Sox, and on Monday he belted his first home run of the season. This wasn't just Davis' first home run of the season, but it was also his hardest hit ball at 108 mph. He crushed it and it got out of the yard real fast into the Red Sox bullpen. This was his first blast since Aug. 24 as he continues to embarrass the Red Sox during this series. Davis' two-run shot put the Orioles up 6-1 in the eighth inning. It's hard to believe that if they come away with this win they'd have a better record than the defending champion Red Sox. Chris Davis' first HR since August 24, 2018 (off Zack Britton in extra innings).